From the time you step off the curb, you begin experiencing the Smithsonian through their expansive gardens. 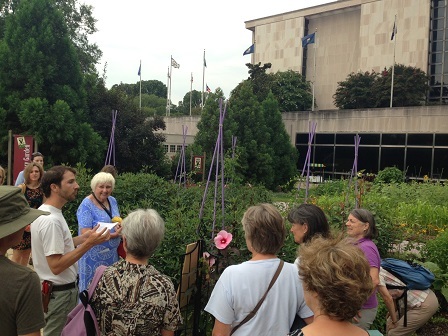 About 20 Master Gardeners of Northern Virginia recently took a “field trip” to the Smithsonian Museum of American History. 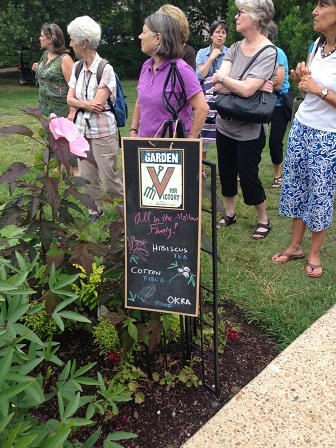 They received a guided tour of the Victory Garden and the “FOOD: Transforming the American Table 1950-2000.” The Victory Garden at the Smithsonian Museum of American History sits on the east side of the museum and is an unconventional way to teach about history. Using a design from a 1943 pamphlet, the Smithsonian Gardens has re-created a World War II victory garden to educate the public, not just about history, but botany as well. 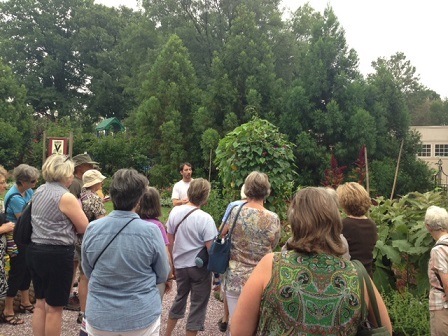 The garden contains over 50 varieties of vegetables and flowers that change with the seasons. Presently in late summer, the garden features plants from the mallow family, which includes some surprising plants, like hibiscus tea, cotton fiber, and okra! Next, the Master Gardeners toured the “FOOD: Transforming the American Table 1950-2000” exhibit, which features an entire exhibition highlighting food: its history, production, and consumption. The exhibit explores some of the major changes in food and eating in postwar America. These photos were taken with my iPhone, I apologize for poor quality! Among the topics on the 3,800-square-foot exhibition’s menu are changes in food production and processing, in who cooks and why, where and when meals are consumed and what people know (or think they know) about what is good for them. 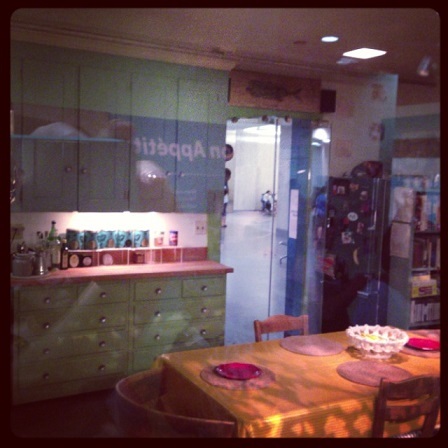 Julia Child’s kitchen, which she donated to the museum in 2001 along with its hundreds of tools, appliances and furnishings, serves as the opening story of “FOOD,” demonstrating her influence on the culinary field, food television, and the ways many Americans think about food and cooking. “FOOD” has been made possible through support from Warren and Barbara Winiarski (Winiarski Family Foundation), the Land O’Lakes Foundation, the Julia Child Foundation for Gastronomy and the Culinary Arts, the History channel, Miljenko “Mike” Grgich, and the Nutrients for Life Foundation. 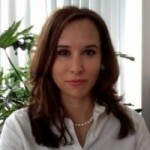 For information on “FOOD,” visit http://americanhistory.si.edu/exhibitions/food. Keep up with more Foundation adventures on Twitter and Facebook!